When it comes to the environment, residents and business owners in Santa Cruz county probably think of the Big Basin Redwoods State Park or Monterey Bay. You may frequent both locations, but what if you could preserve their existence by making one decision? West Coast Solar encourages you, whether you own a home or business, to take advantage of the renewable energy technology available to you like solar power. Solar panels installed on your home or business can do more than produce clean energy; it can save you money on energy costs and save the environment from greenhouse gases. Whether you need a large array or a smaller collection of panels to power your business, give West Coast Solar a call. We’ve helped hundreds of companies across Sacramento, San Jose, and the greater Bay Area make the switch to solar power. If any or all of these points resonate, give us a call to get started on your solar panel system design started. Homeowners across California are taking advantage of renewable energy resources to counter the ever-rising energy costs in the state. As prices for traditionally produced energy go up, residents are either being forced to pay outrageous prices or find alternative energy sources. West Coast Solar wants to help you make the switch to solar power. 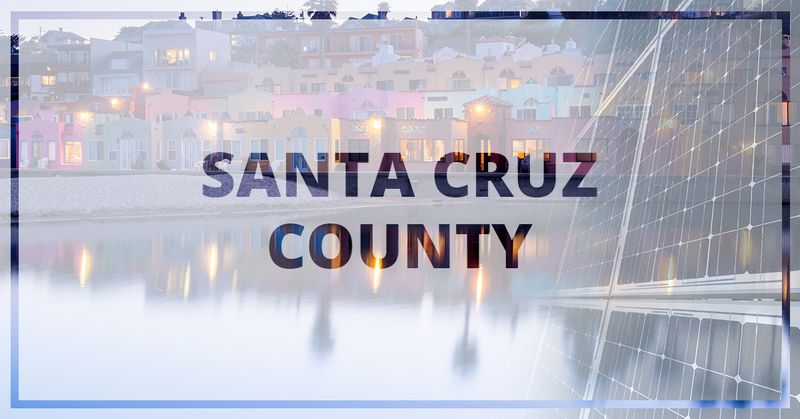 We serve the entirety of Santa Cruz County, including Santa Cruz, Watsonville, Scotts Valley, Capitola, and more. If you own a business and want to reduce your utility bills, a solar system will do just that. As a homeowner, you may be worried about the environment more than anything. A solar system allows you to produce your own clean energy without affecting the environment. Want to get started on your solar design today? Give us a call!